Sinus issues, runny nose, congestion, post nasal drip, hay-fever and general stuffiness are all caused by inflammation. This inflammatory reaction is a part of the body’s natural defence system. So where is the inflammation coming from? Poor Immunity & Gut Function: Over 60% of our immune system is located in the gut just below the single-cell layer lining of the gut. If the lining of the gut is damaged, the immune system is activated and we may begin reacting to foods, toxins and even the good gut bugs.It may not appear to be related, but a chronic infection in the gut may be the culprit that starts the damage. Bacterial overgrowth, viruses, yeasts or parasites in the gut can manifest the symptoms of sinus and congestion. An elimination diet where food allergens are removed and healing stimulated, will bring great relief.Sometimes leaky gut or increased permeability of the gut lining can cause widespread inflammation and can be associated with allergies.Naturopathic treatment will include key nutrients to clear toxins, improve digestion, reduce inflammation and heal the gut lining. For example, an appropriate high-strength probiotic, zinc, glutamine and other nutrients will help optimise the health of the gut. When healing occurs often allergy-related symptoms disappear. Food Allergies: Firstly, the kind of allergy that results in anaphylaxis after eating peanuts is called an IgE hypersensitivity reaction or an immediate allergy. This is extremely serious, but luckily not too common. The other type of allergy is a delayed allergy or an IgG delayed hypersensitivity reaction. This is more common and is the reaction that affects millions of sufferers. Symptoms can be felt anywhere from a couple of hours to a number of days after ingestion of the allergen. In this instance, I would normally recommend an elimination diet or detox to help identify the allergens and remove them for a period of time while cleansing and healing occurs.There are a number of common food allergens that upset the gut and immune function for many people. These include dairy (milk, cheese, butter, cream, yoghurt), gluten (wheat, rye, barley, oats, spelt, kamut), soy products, eggs, corn, nuts, nightshades (tomatoes, capsicum, eggplant, potatoes), citrus, alcohol and yeast & fermented products. Once these foods are eliminated we need to replace them with a whole food, a plant-based diet which is rich in phytonutrients, contains high levels of antioxidants and acts as an anti-inflammatory in the gut. Including good omega-3 fats (from fish, nuts & seeds, avocado, olive oil, coconut oil) also helps to reduce inflammation.Environmental Allergies: Dog hair or cat dander can also be irritating to some people and cause hayfever-like reactions. 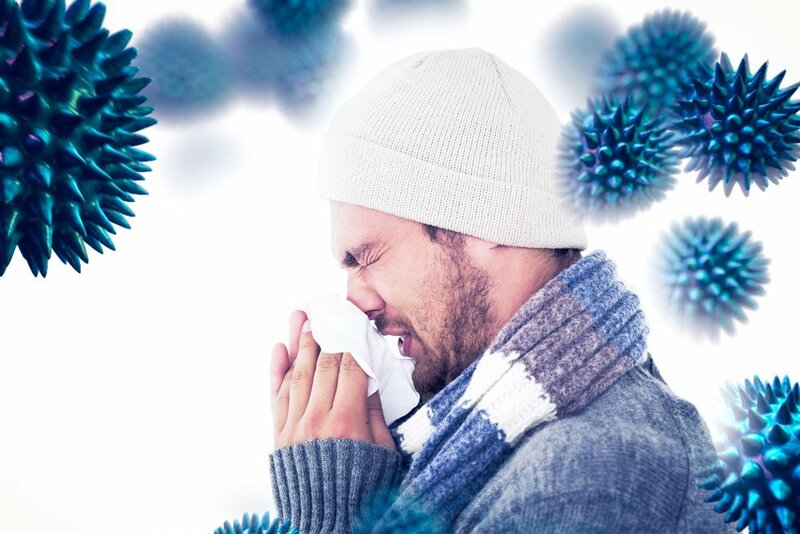 Others are highly sensitive to moulds, pollens and grasses or chemical toxins in our environment. Searching for the offenders is a priority and may involve further testing, to be able to select the right treatment for recovery. Sleep Deprivation & Stress: Our immune function is greatly affected by poor sleep which damages the metabolism, causes cravings for sugars and carbs and increases the risk of autoimmune disease. When we are unwell with the flu, we often allow ourselves time for rest so we can recover. However, many of us regularly string together many nights of broken sleep getting up to a sick child while expecting to work the next day at full capacity. Over time this does impact on our immune function and can cause us to feel below par and rundown. Good quality sleep needs to be prioritised to maintain vibrant health and keep inflammation at bay.Stress can also marginalise our health by adding to our inflammatory load and ramping up the immune response. It is normal to experience some level of stress day to day, but when this becomes chronic it can ruin our lives. Practicing some mindfulness or relaxation, yoga or yoga breathing is proven to have positive benefits for health, such as reduced blood pressure, slower heart rate and pulse. Exercise is a great de-stressor and anti-inflammatory, so daily exercise is highly recommended.